The team are working alongside representatives from across the market to co-create a vision of the future for buying and selling property. A fundamental part of the project is to explore how cutting-edge technologies such as smart contracts and distributed ledgers can deliver simpler, faster and cheaper services for our customers and the wider property market. In the first year of Digital Street, we worked with a range of people, including conveyancers (both volume conveyancers and high street firms), lenders, estate agents, buyers and sellers, and those in the property technology (PropTech) community. Now in 'Year 2' of the project, our momentum for growing the community has gained pace and we’ve increased the number of people involved in Digital Street who are working with us to explore the potential opportunities and challenges around a future vision, technology and policy. Why are we working so closely with our community? HM Land Registry is uniquely placed to drive the agenda for exploring exciting and innovative new ways to solve the perceived problems in the property buy and sell process. We’re the one organisation that everyone deals with when buying or selling property. But, we’re only one of the many organisations involved in the end-to-end process so we need to work together to find effective solutions! communicate that Digital Street isn’t just a technical endeavour but a social, cultural and political one too and that all these aspects need to be (and can be) addressed. This is why collaboration is at the heart of Digital Street. We’re currently in the middle of a phase of organised community events which are now giving shape to all of the key issues. a live coding community on Github (an online platform for technology developers). These all provide an opportunity for different organisations across the property industry to come together and discuss topics, explore common problems and suggest ways to approach potential solutions. We’ve had some great organisations attend our events so far including the Law Society, the Ministry of Housing, Communities and Local Government, HM Revenue and Customs, GOV.UK Verify, Yoti, Consensys, IBM and many many more! 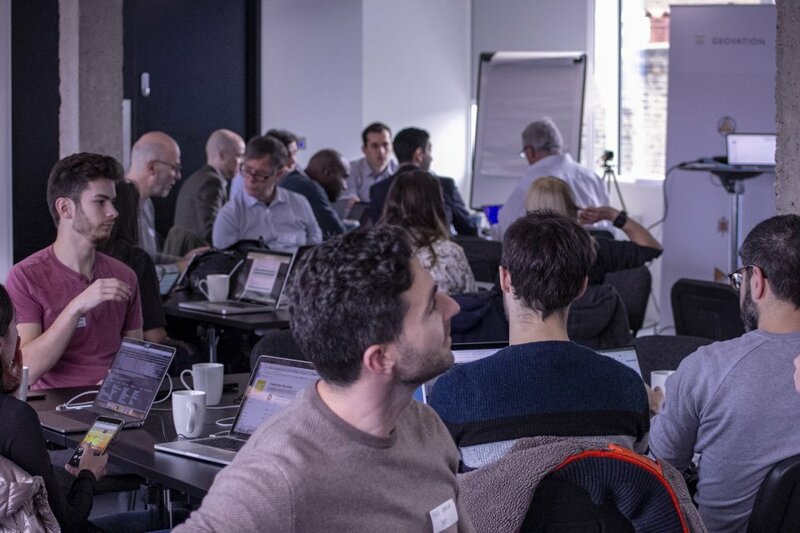 On 6 and 7 November, we held our first problem statement workshop and associated hackathon, at Geovation in London. 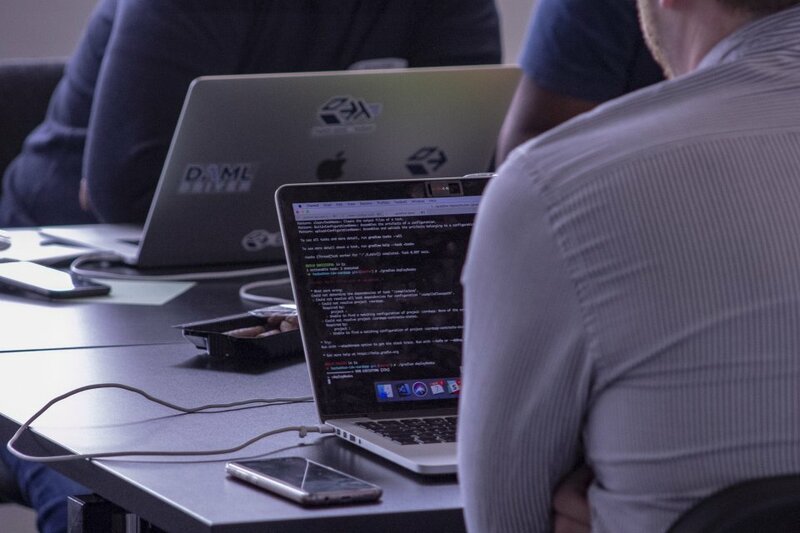 OK, we know what you’re thinking… “I get workshops, but what on earth is a ‘hackathon’”? We’ll get to that in a minute. How can identity be checked once and shared? Through discussion in the workshop, the attendees concluded that this problem centres around ensuring that online buyers and online sellers are who they say they are and finding a way for all those involved in the buying and selling process to confirm this quickly and securely. We used these insights to form the basis of the next day’s hackathon. A hackathon is an event where people come together in small groups to solve technical problems in very practical and tangible ways. Our hackathon involved technical and business representatives from across the Digital Street community, some from the previous day’s workshop and some new participants, aiming to develop some potential solutions to the previous days' identity challenge. The groups split into seven teams, with a good mix of business and technical representation within each. All teams approached the issues in slightly different ways, but the consensus from the room was that current solutions are complicated and slow, with scope for stronger security measures. A common approach to the problem by the hack teams was to suggest an identity management platform with a one-time verification approach. The potential benefits of this type of solution were an improved user experience, greater security and a smoother end-to-end journey for all those involved. We were excited to see so many people representing organisations across the property market, all really getting to grips with the problems and helping to explore solutions. Insights from the community events are shared internally at HM Land Registry to help inform our thinking as an organisation, especially as we explore our needs around online identity verification. HM Land Registry are trail blazers in this. It’s brilliant! ...it's surprising that government is pushing ahead with this. It's amazing! It’s a massive challenge. But the rewards are massive too. … along with all of the emotional and professional commitment from the community. With such encouragement, we’re looking forward to our future engagement events. As someone who was heavily involved in consultations over electronic conveyancing project (and deeply regretted that it was abandoned) I am delighted to see how actively LR is promoting the use of technology.